SEO is very important for any blog or website, let alone blogger blogs.There are many different practices you can follow to ensure that your blogger blog gets a good amount of traffic from search engines such Google, Bing, Yahoo! etc.Unfortunately great and well written content alone is not enough to rank high in search indexes, so you need to do certain other stuff so that you ensure that you get a good SERP ranking in all search indexes.Let us move on and discuss the best SEO practices for blogger or blogspot blogs. You can get more blogging tips at iGau. 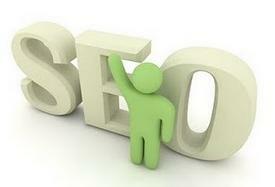 Why Is It Important to do SEO for Blogger Blogs? Naturally, sub-domains such as .blogspot.com have a tendency to rank lower than top level domains such as .com .org etc.So you, as a blogger blog owner needs to put in some extra effort to ensure that your blogger blog comes to the top of the Google search results.Also, blogger blogs, being free domains have been extensively used for spamming in the past few years, due to which all the major search engines look at them cautiously, so you need to gain the trust of the search engines by practicing good SEO techniques. Also, performing proper search engine optimization can lead to a lot of traffic, a well optimized site like This website can out perform other sites easily in the search engine rankings. So, I think you have got a good understanding of why you need to perform SEO on your blogger blogs. There are several different aspects to the SEO of a blogger blog, I have made an attempt to cover all the topics under the search engine optimization of a blogger blog.I have made of list of good SEO practices you need to follow to ensure that your blog hits the top ranks in Google search. No matter how many keywords you put in, or how well optimized your site is, if your content is not worth ranking high, then your blog will never get into the top of search results.A well written article or blog post full of quality can do 50% of your SEO job.Imagine if you did not have quality articles, you would miss out on 50% of search engine optimization.So before trying to do complex SEO tasks, you should first concentrate on making great content which covers all aspects of a topic and is spell-binding to the readers.So creating quality content is the basic SEO step for a website, SEO Cosmo is a good example of such a website. Keywords play an important role in enhancing your search rankings, but you need to be careful while using keywords, there is fine line between perfect optimization and over optimization.An ideal keyword percentage would be 4%.This means that you must try to attain about 4% ratio between your content and the number of keywords, anything more than 5% can be considered as spamming. Also make sure that you include different varieties of your keyword, for example, if your keyword is "training dogs", then you must also include phrases such as "dog training" "how to train dogs" etc. Do not try to stuff your blog post title with keywords, instead try to use all these keywords in the opening paragraph of your blog post, but make sure that you do not stuff keywords, let the writing be natural and written for the readers instead of the search engine bots. If you are an SEO newbie, then Meta Tags may seem daunting to you, but do not worry, blogger has an automatic meta tag feature that you can use without knowing any coding at all.While writing meta tags, you must ensure that you write for people reading the description in the search engines and not for the search bots. Imagine if a person reads the description of your page on Google Search and sees this "Dog Training, Training Dogs, How To Train a dog.....etc" he is not going to like it, as it seems like a repetition of the title again.Instead try for a meta description tag like this "Learn some good and easy ways to train your faithful friend, your pet, a dog". People will be more inclined to click on the second option rather than the first. The meta keyword tag is no longer used by any search engines, so do not waste your time on that. Go to "Edit HTML" of your blogger blog. Replace it with the following piece of coding. Now you have the best optimized title format on your blogspot blog. Permalink is the text structure you see in the URL of each of your web pages, usually blogger just converts your title into your permalink structure, this may not always be the best permalink structure for SEO.So you need to change it a more optimized structure so that your blog scores further SEO points. You can read everything about Permalink and how to change it on blogger blogs here - Custom Permalink For Blogger Blogs. Backlinks are something that ought to be built naturally, do not really worry much about getting backlinks to your blog, if you have good content, backlinks will automatically follow.But there are certain things you can do to make sure you get a good number of quality backlinks to your blogger blog. These are some of the natural link building methods.You may also want to look at this list of dofollow blogs where a comment earns you a backlink, remember, this blog too is a dofollow blog. Blogger blogs do not have the greatest internal navigation structure (depends on which template you are using), so it is good to link your related pages with one another.Try to link as much as possible within sensible limits, if you feel another post would add more quality to a post, then link to it.Make sure that all the blog posts in your blogger blog has at-least one other post that is linking to it. You can take a look at a sitemap page we have created for techgau.org - Sitemap. So these are all the basic Blogger blog SEO tips that a blog owner needs to top the Google search results.if you have any doubts or want to add a suggestion, you can do so in the comments section below.